Ah, rest--it is probably one thing that many people will say that they don’t get enough of. Something we may not realize that’s vital to a good night’s sleep is a calm atmosphere in the bedroom. Let’s look at what we can do to create a restful bedroom. - Keep the room free of clutter: use storage containers under the bed for clothes you may not have room for, keep jewelry neatly hanging or in a jewelry box, have a hamper tucked away for clothing that needs to be washed, and shoes should be tucked away. - Some smaller homes don’t have a designated room for an office, and it’s important to keep the two separate, even in the same room. Face the work area away from the bed and use a screen if you like. Keep the desk tidy, so you’re not looking at work that needs to be done while you’re preparing to go to bed. Turn off any electronics that can disturb the quiet of the room when you’re not using them. - Low lighting is important, so use a low-wattage bulb in the bedside lamp and add a timer for it to come one just before bedtime so you won’t have to turn on the bright ceiling light when it’s time to get ready for sleep. - Sleep experts will tell you that the bedroom is no place for a television! If sleep is an issue for you, keep the tv in the family room, as the light and noise will keep you from truly resting. - On that note, if you need some sort of noise to help you sleep, there are many white noise machines and smartphone apps, as well as playlists on many music streaming services that have a variety of relaxing background noise. Ditch the tv and use white or “pink” noise to help you drift off. - Room-darkening shades can be very helpful in blocking city lights and help those who must work at night sleep during the day. - Pets are like family for most of us but allowing them to sleep in bed with you may not be such a good idea. Have a special bed or crate for Spot to sleep in, so their nighttime movements won’t disturb your deep sleep cycles. - Room temperature is very important to rest. If it’s in the budget, have a separate heating and cooling system for the bedroom, and keep it between 60° and 67°, and if that’s not possible, use a fan to keep you cool. - Choosing the color for decorating is important, as colors influence us when it comes to different activities. Most of us know that blues, greens and grays are relaxing colors, but if you like to make a bold statement, light colors won’t work. 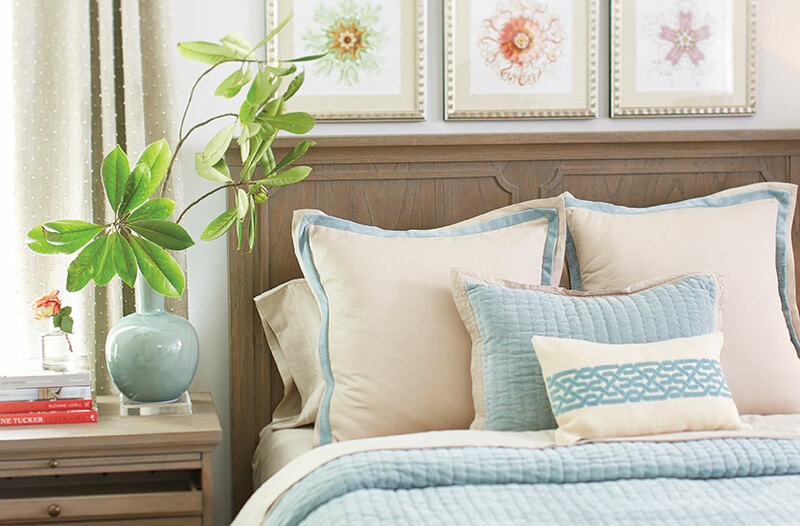 Royal blue, shades of teal, and browns can still make a room feel calm and add bright style to the room. - Obviously, your bedding is one of the most vital parts of getting a good night’s rest. Have a comfortable mattress with good pillows and bedding appropriate for keeping you comfortable. Sleeping well is so important to many aspects of life, not to mention your health, and if your bedroom isn’t helping you get a good night’s sleep, it’s time to make some changes. The Better Sleep Foundation has some other tips and information on how your bedroom can help you get the rest you need.